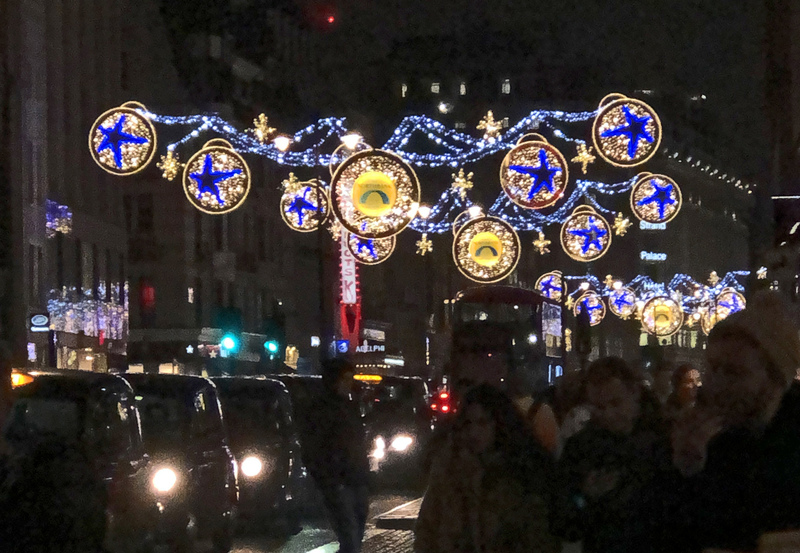 London sparkles and scintillates at Christmas. 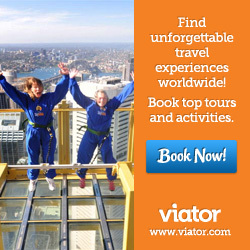 If you visit for the holiday attractions, don’t be so dazzled by the twinkly lights that you overlook other winter pleasures. Make some time to enjoy the special winter exhibitions in the best museums and galleries just round the corner from all the razzle dazzle. When night falls by three in the afternoon after it has been grey and drizzly all day, it can often be hard to find the positives in a London December. But, set your expectations to a different timbre and you might be surprised. There is something irresistible about spending a lazy few hours in a museum and then emerging in a darkness streaked with holiday glitter, Christmas lights reflected in rain slicked streets and the buzz of seasonal excitement in the air. If, like a lot of people, you visit London only once a year, to shop, see the holiday decorations or take in a Panto, you probably end up cold, damp, tired and overdosed on festivity. Why not, instead, plan a few “time out” breaks in Central London’s museums. Several of the city’s best museums and galleries are within easy walking distance – or not more than a couple of bus stops from the best Christmas displays, Pantos and family shows. They are mostly free or have special, inexpensive exhibitions scheduled for the holiday season. The Victoria and Albert Museum in South Kensington The final phase of refurbishing the V&A’s famous Cast Courts opens to the public on December 1. These replicas of some of the most beautiful objects in Europe were created in the 19th century as a way for the public to see them. The museum helped to pioneer such techniques as electrotyping whereby exact copies of objects made of precious metals were created in copper and then electroplated in gold and silver. Dating from the early 19th century, this was one of the earliest practical uses of electricity. Some of the casts and replicas are now considered works of art in their own right. Among the highlights are replicas of The Gates of Paradise from Florence Cathedral, an impression of a silver and gilt pierced chalice that belonged to Samuel Pepys and a chance to go inside the base of the full-size replica of Trajan’s column, to see how it was made. What’s that? You don’t know what a Panto is? Find out and then find one. Movie fans may be intrigued to learn that many of the objects discovered by Indiana Jones during his adventures were originally commissioned by the V&A. The National Gallery Right in the heart of London’s West End on Trafalgar Square, The National Gallery is hosting Courtauld Impressionists: Manet to Cézanne until January 20. The Courtauld Gallery, home to what was the finest private collection of Impressionist paintings in the world, is closed for a complete refurb for at least the next two years. While this is going on, the treasures of the collection are going on walkabout, around Britain and then around the world. First stop is the National Gallery where 40 truly iconic works by Cézanne, Toulouse-Lautrec, Renoir, Manet and Seurat will join works from the National’s own collection for this special exhibition. Adult admission is £7.50 but as it will be your last chance to see these paintings in London for years, it’s definitely worth it. The National Portrait Gallery Just around the corner from the National Gallery, you can ponder all sorts of historic and contemporary portraits for free or take in some special exhibitions. The Taylor Wessing Photographic Portrait Prize Exhibition features 57 photographic portraits from around the world, by professionals and amateurs, all prize winners. Tickets are £5 or £6 with a donation. Nigerian born artist Njideka Akunyili Crosby, who now lives and works in America, adds to her series of portraits The Beautyful Ones, focusing on Nigerian youth. Several of these complex, colorful works were created just for this exhibition. The exhibition is free. Somerset House will definitely be the place to take a breather with over- tired and over-excited children. Their exhibition Good Grief Charlie Brown celebrates Snoopy and the whole Peanuts crew with original cartoons and work by other artists as well as interactive installations. There’s Lucy’s Psychiatric Help Booth where you, or your kids, can dole out advice, light boxes where you can learn to draw Peanuts characters and Snoopy typewriters to help everyone’s favorite doggy philosopher finish his novel. But the real chill out room for families looks to be the Snoopy Cinema, where the family can sprawl across bean bags on a baseball pitcher’s mound to watch more than an hour of remastered Peanuts TV specials. Tickets are a steep £14, but children under 12 go free.